Download game The Elder Scrolls III: Morrowind® GOTY Edition right now! Notice : Activation key must be used on a valid Steam account. Requires internet connection. The Elder Scrolls III: Morrowind is the most detailed game world ever created, where you create and play any kind of character you can imagine. 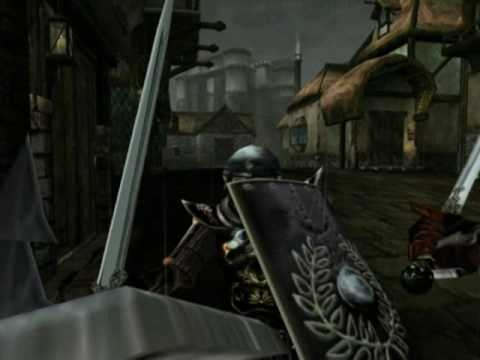 Morrowind sets a new standard in gaming with its incredible graphics, in-depth gameplay, and innovative character development. In Morrowind: Enjoy hundreds of hours of gameplay as you explore Vvardenfell and its many exotic locations, including epic dungeons, detailed cities, and vast landscapes. In Tribunal: Visit the capital city of Mournhold, the Clockwork City of Sotha Sil, each complete with new creatures, quests, armor, weapons, and much more. In Bloodmoon: Venture into the frozen island of Solstheim, filled with even more challenges for high level characters, or become a werewolf and indulge your thirst fo rthe hunt. © 2003 Bethesda Softworks LLC, a ZeniMax Media company. The Elder Scrolls, Morrowind, Tribunal, Bloodmoon, TES Construction Set, Arena, Daggerfall, Bethesda Softworks, ZeniMax and their respective logos are registered trademarks or trademarks of ZeniMax Media Inc. Made in U.S.A. All Rights Reserved.